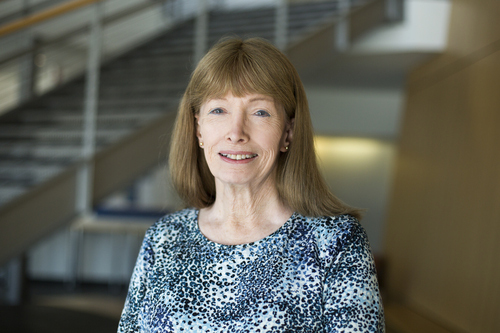 Lynn Conway's contributions to the field of computing and VLSI microelectronics have been nothing short of groundbreaking, but the world almost never knew she was behind them. Conway started her career in computer architecture at IBM in the 60s, but was fired as she underwent gender transition in 1968. She spent the next decade rebuilding her career, joining Xerox PARC in the 70s where she was responsible for pioneering VLSI microelectronics. A decade later she joined DARPA and led its efforts to build the technology-base for modern intelligent weapons. It wasn't until 1999 that she came out, building a major trans-advocacy website, lynnconway.com. And then it was another decade later, she began making her past experiences and her technical contributions known to the world with the publishing of "VLSI Reminiscences" in 2012. Conway, who is now an IEEE Life Fellow and Member of the National Academy of Engineering and who will be speaking at the upcoming SXSW conference in Austin, Texas, on the subject of unconscious bias in AI, shared her thoughts over email with Women in Comms on game-changing technologies, the Valley's "brotopia," the industry's "techno-social systems" and more. Women in Comms: Tell us a little more about your background and how you got to where you are today. Lynn Conway: As a child during WWII and now 80 years old, I've traversed a period of tumultuous technological and social change. My father was a chemical engineer, my mother a kindergarten teacher. Our basement bin was filled with scrap lumber, fabrics and craft materials on the way to kindergarten for creative play. Pulling odd stuff together to make weird constructs, then using them to stage creative happenings, was a major theme during my childhood. Seems I never really "finished" kindergarten, for I'm still drawn into such adventures. Listening to the BBC during the war, I was amazed how the glowing, smelly electrical things inside our big radio helped people "talk to us" across the ocean. I also thrilled to railroads, big bridges, tunnels and skyscrapers, and especially airplanes, running outside to watch if one flew low overhead. At age five, I got my first big book, The Wonder Book of Knowledge. Learning to read while prowling its pictures and text, I became fascinated by the stories behind wondrous "modern" technology. I gradually became aware that it was engineers, like my father, who created such things. By my early teens, I'd developed a quiet but burning passion for math, science, amateur astronomy and telescope making. I studied hard at school and haunted the White Plains, N.Y., public library to learn everything I could about all that. It's no surprise that I went on to study physics at MIT and then electrical engineering at Columbia University. WiC: What has been the most transformative technology you've been involved with over the course of your career? What technology do you anticipate will be game-changing that's still coming down the pipeline? LC: In the early 60s, Columbia's EE Department tightly coordinated with IBM on the development of empowering early knowledge in digital computing. As a grad student I took every course I could in the emerging field. One of my professors, Herb Schorr, suggested an independent study of M. V. Wilkes's recent work at Cambridge on "self-compiling compilers." I delved into Wilkes's papers, implemented his WISP symbolic list-processing language on Columbia's IBM 1620 computer (using knowledge of its hardware details and machine code), and began toying with sequential self-compilations of enhanced versions. Reflecting on my WISP experience while studying Everett Rogers's Diffusion of Innovations, I became aware of an electrifying possibility. Once such a digitally encoded bootstrap was built, that "thing" could quickly evolve under the pressure of competitive/collaborative efforts by others to improve its functionality. Such encoded bootstraps had the potential for self-exponentiation in both technological power and usage prevalence, as a function of the technological and social environments into which they were "launched." Digital technology thus had the potential of triggering cyclically-expanding "chain reaction" diffusions of both itself and its human usage. This was it. I was hooked! The exciting work also led to a job, working for Herb at IBM Research. Jumping ahead to today, we observe computational thinking spreading rapidly through and empowering many disciplines, not just within STEM but also across the social sciences, humanities, arts and design. Digitally encoded "bootstraps" for innovative new infrastructural functionalities are also being created, entangling with, and amplifying the effects of each other. The RepRap Project, begun by Adrian Bowyer in 2005, is a classic example. By evolving a 3D printer that can "print copies of itself," the project launched a "material bootstrap" analogous to self-compiling software compilers of years ago, enabling countless engineering, architectural and artistic explorations of its potentialities. Just as those who created the printing press opened a new world, a world in which others created novels. Looking ahead to the future, we see ever expanding entanglements of such evolving systems inside the global "technological + social ecosystem" that mutually supports and is supported by us as we go along. Rather than trying to pick "one thing" to build a career on, expect many opportunities to engage and impact that evolving world. WiC: What is your take on Silicon Valley's Brotopia image, and what needs to be done to make it a more welcoming place for women and minorities? LC: Down through the ages, women and men have been so socially bifurcated that most identify as if they were members of different "tribes" or even different "species." Sustainable social communities result only when these co-dependent tribes manage to stably cross-colonialize each other. Resulting patterns of "inter-tribal" behavior shift over time as each tribe jostles for relative advantage, just as in the co-dependent cross-colonizations seen in class, caste, slavery, feudal and imperial systems. As internal tribal boundaries drift, such societies may feel like they're "improving." However, so long as the underlying bifurcation remains intact, gendered life-experiences remain "the same." For example, during my lifetime I've often witnessed what seemed, at the time, to be enormous changes in the behavior patterns between men and women. Yet those tribes' ongoing bewilderment by each other feels just as profound today as when I was young. Brotopia comes as no surprise. It's a modern social swirl entangled inside an age-old tribal whirlpool. However, major techno-social change now occurs within a generation, instead of being spread across many. Rates of change have passed a tipping point, and an awesome reality is emerging: As the rate of techno-social change increases, we'll all live far further into the unfolding social future than we ever dared dream. An important side-effect of the rapid intragenerational change is that older people often find themselves stuck in the past, and thus violating new codes of behavior. Happenings and artistry such as #MeToo, Brotopia, Black Panther and A Fantastic Woman hint at creative methods for enabling social communities to more rapidly visualize and traverse such paradigm shifts. WiC: What would you say is the most important professional lesson you've learned over the course of your career? LC: Over the years, a cluster of recurring ideas have helped me live an adventurous, creative life. Think of them as "commands to myself" that pop into mind when triggered by unfolding events. I encourage you to evolve your own set as you go along, to keep you on track while exploring your unfolding life. Here are mine: Follow your curiosity. Don't be afraid to be a beginner at new things. Be agile. Be bold. Step outside your comfort zone. Grow fast by learning from lots of mistakes. Never let expertise within some silo entrap you there. Never stop learning. As Eric Hoffer says, "In a world of change, the learners shall inherit the earth, while the learned shall find themselves perfectly suited for a world that no longer exists." When you're a beginner on a team, earn your keep by eagerly "gathering firewood." When apprenticing, seek out and learn from the very best, from those who really know the moves. When moving up, be kind and encouraging to others. Spread some excitement and fun. Avoid arrogance and elitism. Share all growing knowledge of the moves, especially with newbies. Be a patient and vigilant observer. Be open to spotting anything "unusual," big or small, wonderful or awful, cool or weird. Go-meta to envision hinted-at wider contexts, asking yourself "What's this weirdness an instance of?" The biggest opportunities appear out-of-the-blue. You'll miss them unless you "expect the unexpected." When it's game on and you're on a mission, pull out the stops, dig down deep and go for it. As Bob Noyce says, "Go off and do something wonderful!" Envision your career ahead as a series of adventurous missions, interspersed with periods of R&R, networking, team-joining, apprenticing and training. In the end, your memories of those missions and all the cool people you adventured with will mean everything, far more than any transient fame or fortune found along the way.